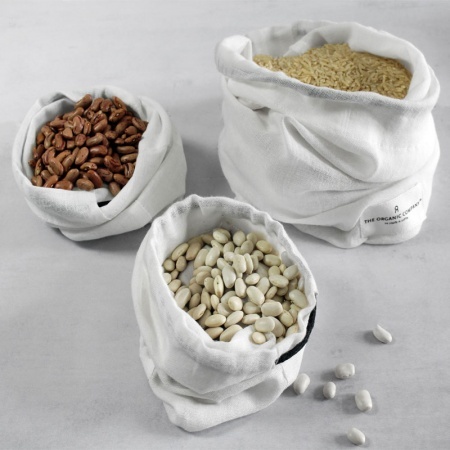 Reusable organic food bags. 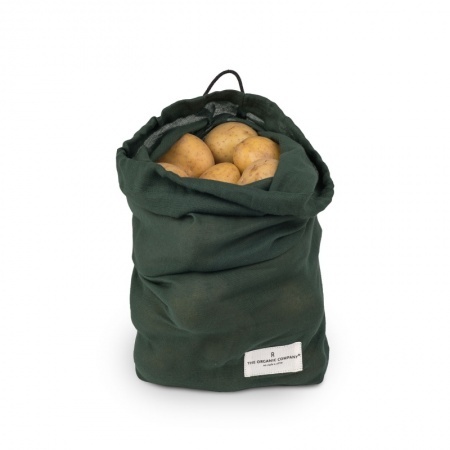 Ideal for carrying fresh produce from the supermarket, market or farm shop and storing at home. Closing with drawstring. 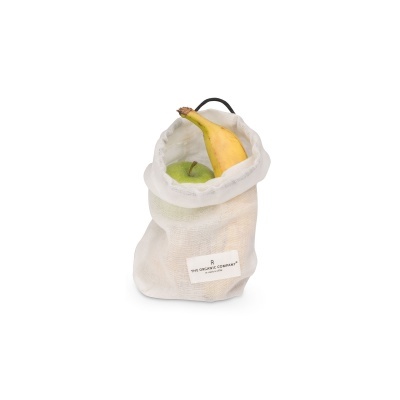 A reusable organic food bag to replace plastic bags. 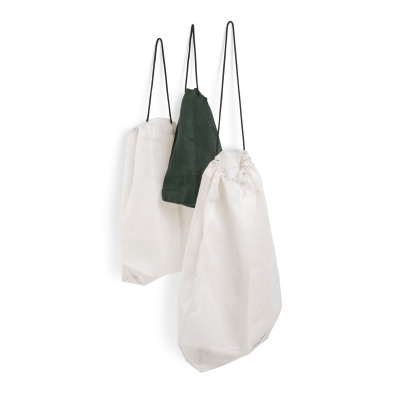 Ideal for carrying fresh produce from the supermarket, market or farm shop and storing at home. The medium size is suitable for garlic, ginger, mushrooms and tomatoes. The medium size is suitable for small potatoes, carrots, broccoli, apples, oranges and bananas. The large size is suitable for potatoes, cabbage and cauliflower.